Weekend Open Forum: Is the demise of single-player games an exaggeration? If you watched this year’s E3 conference, you probably noticed the large number of multiplayer-focused games that were on show: Anthem, Sea of Thieves, Star Wars Battlefront II, Skull & Bones, Destiny 2, and many more. While that all sounds perfectly fine, it did add fuel to the argument that single-player games are dying. 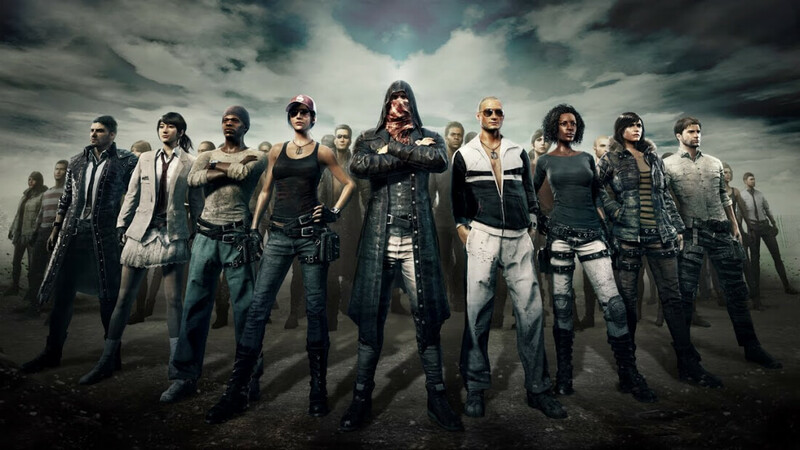 Titles such as League of Legends, Counter-Strike, DOTA 2, and Rocket League have been some of the most popular titles on the PC for a while, but the incredible rise of Overwatch and Playerunknown’s Battlegrounds has seen multiplayer gaming hit new heights in recent times. There have been other factors influencing the latest “single-player games are dead” cries, too. With Mass Effect: Andromeda and Dues Ex: Mankind Divide not living up to their predecessors, both franchises have reportedly been put on hiatus. Even the excellent Dishonored 2 had launch sales 38 percent lower than the first game, and it seems Prey’s developers are abandoning a sequel in favor of a new, online product. But what’s your opinion? Are there too many multiplayer-focused titles these days? Is the genre really the future of gaming and something that will benefit us all? Or will people start to resent having their mothers' virtue questioned by teenagers, thereby ushering in a new revolution of single-player games? Do let us know in the comments below. I don't like Multiplayer games much, they get me bored really quick. To me, games, are about great journeys, and somehow multiplayer takes that away. I think single player games have a long time ahead. JimmyMiles, ddg4005, MaitieS and 1 other person like this. I just love when games come out and don't live up to their hype or the success of their predecessors, and that becomes an indicator for a whole sector of the gaming world being on a decline. Maybe, just maybe, we're showing signs of IP fatigue, and lack of originality is becoming boring? Or (now I know this might be shocking, so you might want to sit down) maybe the problem is that the games just aren't as good? There's plenty of reasons for poor sales, beyond some kind of "industry trend" that the developers and publishers can blame instead. Personally, I prefer single player gaming most of the time - easier for casual gaming at random times, no need to worry about skill levels of other players you might get stuck teamed up with, etc. I like to play some titles with my friends, I go on bouts of MMO play, but in general most of my play is single player mode. amstech, H3llion, mrtraver and 2 others like this. JimmyMiles, H3llion, turismozilla and 1 other person like this. Short answer: Only if developers stop making single player games to cash in on micro-transactions. And people that continually pay these micro-transactions are to blame. Skidmarksdeluxe, MoeJoe and trgz like this. I too prefer single player games, a fan of local and multiplayer co-op campaigns too, but no one seems to want to spend the time to write those storylines/code. Burty117, m4a4, psycros and 2 others like this. Kinda funny that Battlefront 2 is on that list as EA and DICE have said for awhile now that BF2 will have a story mode and even co op which needs even more support than solo/single player. Whether it will be long or good is another story but so far the game looks good and is shaping up nicely. MP games are becoming saturated, everyone has one and lets not mention the constant cheats and hacking that can happen in games. CSGO anyone. Even Overwatch has dropped the Ban Hammer on players, too bad wussy Steam or other companies have no b*alls or lack a spine to do what is right. They all just do what Activision does, ignore everyone and rake in cash without ever answering for all the problems with there games. Just because AAA games developers are focusing on "where the money is", doesn't mean SP games are "dying". Indie or smaller studios have been making great games recently. I for one will always go for a good SP game over a MP game anyday. Skidmarksdeluxe, turismozilla and trgz like this. Who's to blame, the publishers/devs or the gamers? There will always be single player games. I deal with people for work every day. That last thing I want to do when I get home is have to deal with people in my video games. Mostly I play shooters and RPGs I play relax and to unplug from society and reality. Connecting to people in video games just tends to ruin the experience of the game. Cheaters, gankers, hackers and racists... People can be the worst in video games. If single-player games died out, so would my love for the medium. psycros, turismozilla and darkzelda like this. SP always a good selling point of the game in any platform. However most AAA games like mentioned above receive bad optimization on certain platform which caused bad performance, this kind of games makes people hesitate to buy even on big sale discount as it received too many bad rating. When original Bioshock and Bioshock 2 came everyone agree they both great SP but not for the remastered version with remastered graphic. Bad optimization = bad rating even if it's only affect the graphic not the gameplay / story. Mafia 2 is another SP game with great story and still receive good rating even by current standard (graphic and gameplay. Then comes Mafia 3 with good story but bad optimization. Luckly they provide Demo version so you can get the idea what 200$ video card perform in this game. Take a look DOOM( both Vulkan/openGl), Rise Tomb Rider (DX11/12), Sniper Elite 4 (DX 11/12 async or not async) runs smooth on 200$ card at almost max settings. All games above came with the same SP gameplay concept since their first generation. Title like Dishonored 2, Deus Ex MD, Mafia 3, destroy SP experience because of it irrelevant graphic quality vs performance (bad optimization). Gameplay experience on this title ruined by bad optimization which lead to random framerate drop. To overcome this problem simply lowest your graphic setting which makes you feel bad not to own latest monstrous graphic card OR simply throw 500$ on latest graphic card to anticipate frame drop here and there. SP will not die as long as game developer sell only good quality product that run smooth on most hardware owned by gamer. Indie developers are the ones making single player games so they might be harder to find. Our usual "AAA" companies are focusing on multiplayer because that's where the money's at. I like multiplayer games because I am competitive and like to **** on everyone but when I want to relax and actually have fun playing a game I will turn to single player games. Multiplayer and Co-op are where the AAA industry is heading. Way too much money to be made from microtransactions for them not to. Single player only titles will be reduced to Tier 2 status because of that and the fact that, creatively, the industry has placed graphics above writing and design, which is why they keep missing sales targets for single player titles. I gave up on online playing. I'd be a noob and some person that lives and breathes the game kills you in 0.01 seconds, where is the fun in that and then there are the cheats. Besides the games I play are generally good solo (Valentino Rossi: The Game, trying to wrap my head around Hearts of Iron IV). Those are the big two at the moment. AI in most games bore me and I don't feel challenged. That and voice chat are why I prefer to play online. I don't think we have anything to worry about. We are really looking at sequel fatigue, the main reason it looks like multiplayer games are winning at those who are dedicated to them just play that one game 80% of the time. Where us single player fans enjoy going from game to game as we complete them or want something with a different flavour. Personally, I have 4 single player games on the go right now. If I play these games 70 percent of the time and 30% on a multiplayer game it would look like Multiplayer is played more but on a whole that isn't the case. Another fact is single player games stay alive long after development stops. But multiplayer usually dies once a dev abandons the servers. This gives us 10+ years of 3rd and 4th gen games to play and in remastered games from OG xbox and playerstation 2 the options get almost limitless. If the latest and greatest AAA title is just a $70 uprezed versions of the same game you played last year you have tons of reasons to pass on it. It's not that single player games are dying it's that AAA Devs have gotten lazy and giving marketing too much power, now that kills creativity. trgz and mcborge like this. I have over 6000 hours played in BF3, BF4 and L4D2, and I have never logged off because of cheaters. All I had to do was change server one time if it happened. Problem solved. My biggest online complaint is balance. Single player games on the demise? I had no idea they were on the endangered species list. I only play SP games but it's just obvious and natural that publishers/devs hang out where the money is and when the MP well starts drying up because those half witted players finally start to realise microtransactions are nothing more than a racket, they'll concentrate on SP again. Nothing in the tech/computer/gaming industry ever dies, it just evolves to eventually go full circle. Gaming is my hobby, I love single player and multiplayer feeds the competitive side of me. While indie brings back the feels of playing games when I was young. Games have been dumbed-down to much for my liking and devs just keep pushing out remakes because people keep buying them. why would they make anything original when they can make a load of money for very little effort. This gen I was hoping for an evolution of online gaming, large open worlds populated with large numbers of people, games like destiny and the division scratched the surface but never pushed it far enough for me. Is single player dead though? No, a large part of gaming is being immersed in a story and with vr taking immersion a giant leap forward I can only see single player gaming getting better over the coming years. The real problem is that many games that come out these days are awful and often even broken. Do games like CoD that offer both SP MP and COOP not count to them or something??? I don't care that much about AAA games, and of those that somewhat interest me I can find a huge backlog of single player games, so the short of it is, I don't care. The day I start seeing multiplayer adventure games is when I know things went to hell. Well, certainly multiplayer games are here to stay, and do make lot of money. As for single player games many commenters above have pointed out excellent insights. Don't forget the success of Witcher 3, or the current amount of money made in Steam Summer sales. Gaming is and will always be foremost a individual experience, we may like to share that with our friends at times but not always.